Voting for the new school couincil has begun. 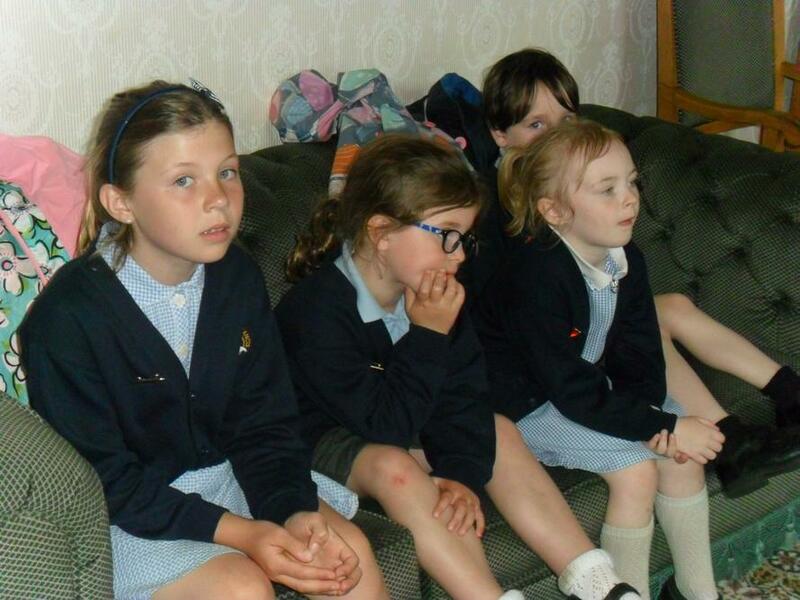 Pupil voice is very important at St Francis school. Our school councillors decided that they wanted their own display board in school to share what they are doing and to help them gather the opinions of children across school. 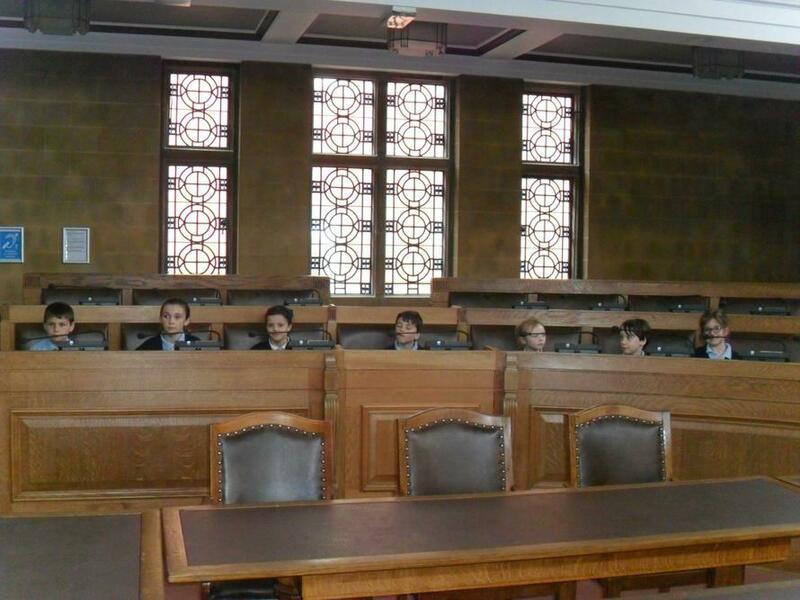 We hold a school council meeting weekly in our school library. On our first meeting we voted on who would be our Chairperson, our secretary and our treasurer. Ryan was voted in as our Chairperson, Niamh our treasurer and Kayle as our secretary. We discussed how to gather pupil voice, how to prepare for our Macmillan coffee morning and we discussed the proposed puffin crossing. This week x2 school councillors brought in the suggestions boxes they had made for their class and we have several suggestions from our classmates already which have been discussed at the meeting and action plans put in place! We have put up posters for the Macmillan coffee morning around school and at church and we have prepared a letter to go out to families. For next week our councillors are preparing a letter to encourage our grown-ups to become ‘Friends of Saint Francis’ and each set of class councillors are carrying out a pupil interview with their class on ‘How safe they feel’. This term our school councillors will be working hard to gather the views of their classmates on ways we can further develop our wonderful school. Their first fund raising activity will be to lead and manage our Macmillan Coffee Morning which will take place on Friday the 7th of October at 9.00 a.m. in the school hall. We had a fantastic response last year from families and friends and look forward to beating last year’s target! 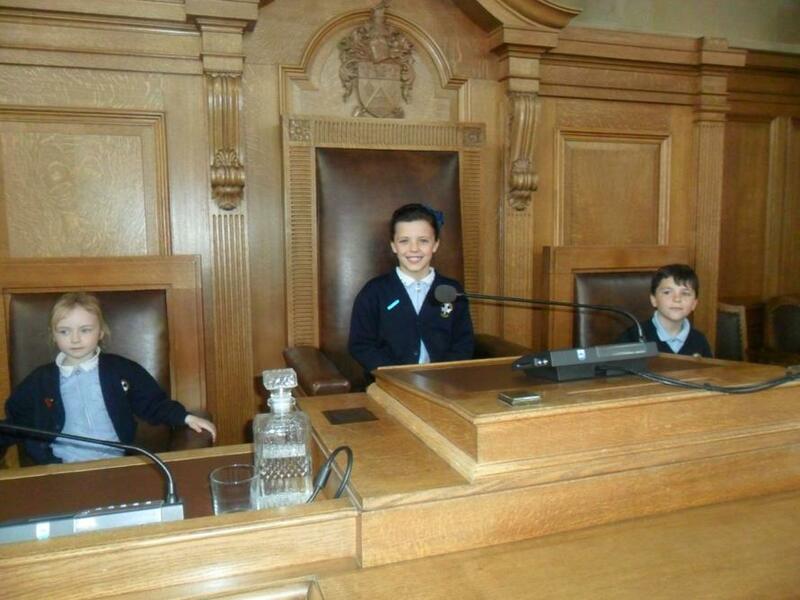 Our new school councillors had the opportunity to visit Nuneaton council office this week. 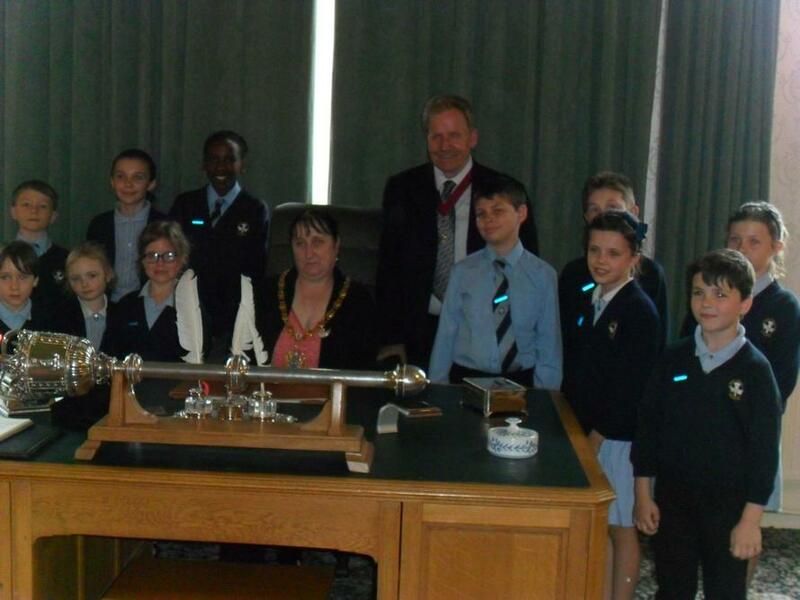 They were given a tour of the council chambers and were invited into the mayor's office. 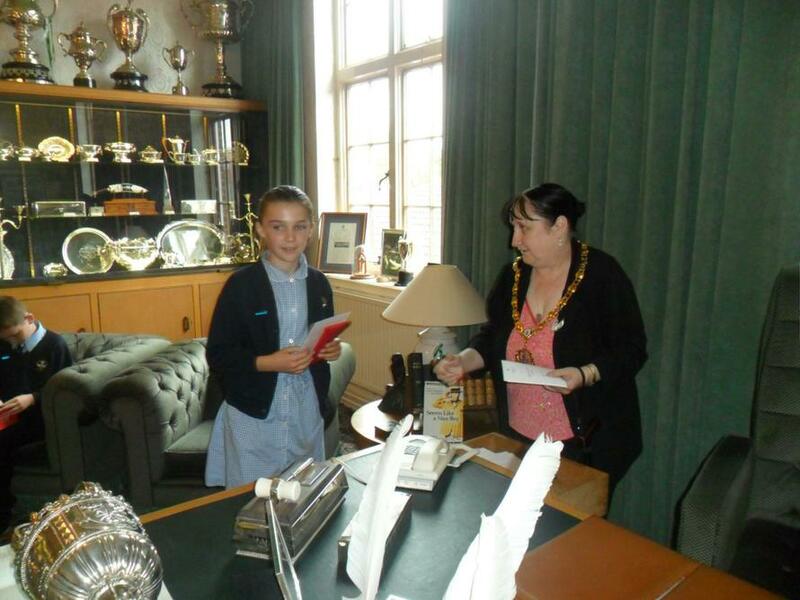 Councillor Shepherd is our new Mayor and her and her husband talked to them about all the fantastic trophy's and memorabilia in the display cabinets. 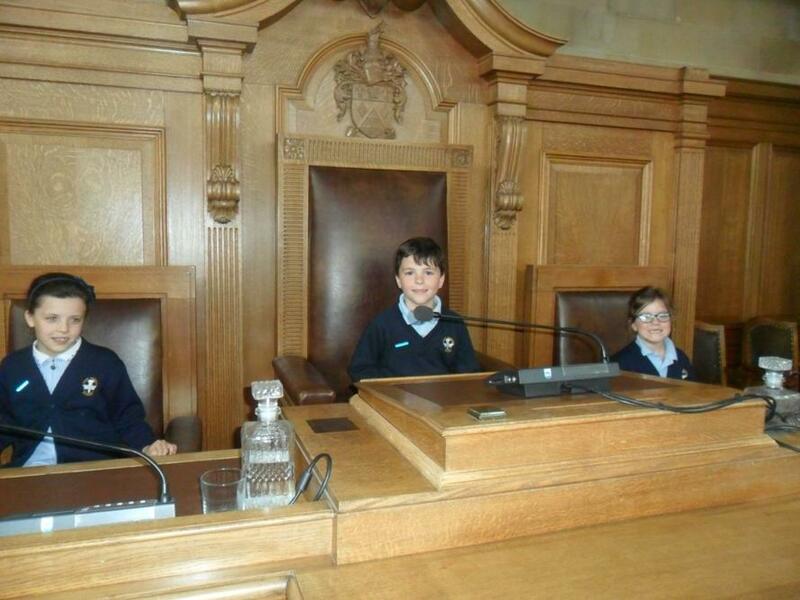 They also explained to the children about how a council meetings runs and a little of the history of our borough. The children had a fantastic time and they were applauded for their beautiful manners during our visit - well done our new school councillors!